Our DCS World Summer Sale will only last seven more days, and this will be our last e-Shop sale until the end of 2018. If there is a module you have your eye on, now is the time to act. Save 50% off on most DCS World titles from our e-Shop! We are currently preparing and testing an update to the 2.5.1 Open Beta. This update should address a number of issues like the metashader error, VR audio device selection, A-10C and Ka-50 datalink errors, FLIR image quality, and others. We would also like to thank those that took part in the DCS World 2.5 Open Beta. We can’t overstate our appreciation enough to those that have helped DCS World become even better. This amazing community is a large part of what makes DCS World such a unique and great product. Thank you! As always, a full changelog will be available when the update is published. One of the new munitions that will be coming with our DCS: F/A-18C Hornet is the ADM-141 Tactical Air Launched Decoy (TALD). The TALD mimics the radar cross section of a fighter-sized aircraft by use of Lungberg lenses, and it is capable of releasing chaff bundles. 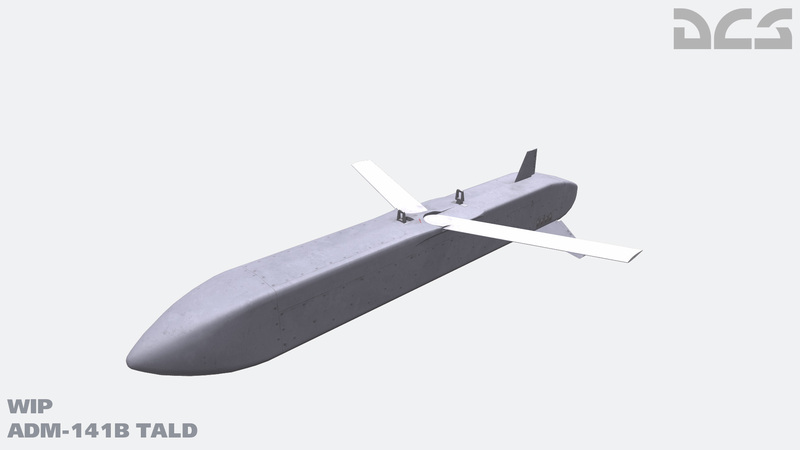 With a maximum glide range of 120 km, the TALD can be used to “bait” hostile radars to reveal their locations for follow-on Suppression of Enemy Air Defenses (SEAD) attack. The F/A-18C can carry up to six TALDs.